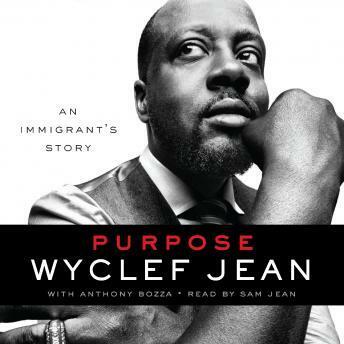 Purpose is Wyclef Jean’s powerful story of a life rooted in struggle, soul-searching, art, and survival. In his own voice the multi-platinum musician and producer shares everything, from his childhood in Haiti to his rise to the top of the American music scene. For the first time ever, Wyclef reveals the behind-the-scenes story of the Fugees, including his partnership with Lauryn Hill and Pras Michel, the details of their award-winning album The Score, and the solo career that followed. For fans of early Wyclef efforts like The Carnival or later albums like From the Hut, To the Projects, To the Mansion—and for fans of books like Jay-Z’s Decoded or Russell Simmons’ Super Rich—Wyclef’s Purpose is an inspiring, one-of-a-kind look at one of the world’s most talented artists.